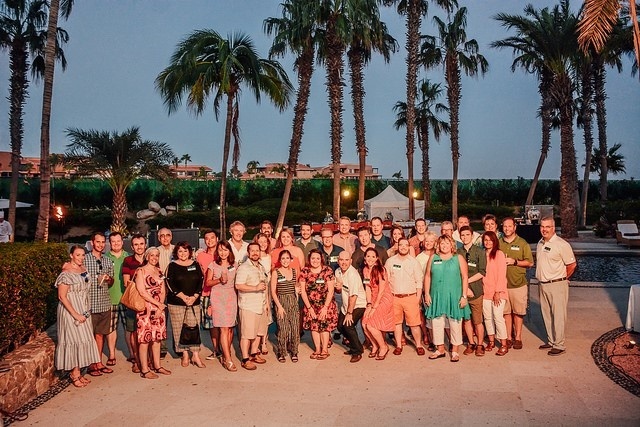 Earlier this month, HMI hosted its Fifth Annual Incentive Leadership Forum at Dreams Los Cabos Golf Resort & Spa in Los Cabos, Mexico. As with our past Forums, this was an opportunity for business leaders across various industries to exchange best practices and gain insights into cutting-edge performance improvement trends. Featuring strategic roundtable discussions, solution showcases, and even some interactive brainstorming sessions, the Forum invited attendees to both listen and be heard from. Future-Proofing Your Program. This wide-ranging presentation focused on the various ways clients can help their programs keep pace with trends in technology and other fields. Keys to the discussion were how to successfully apply “must-share” interactive moments to promote a more integrative mobile experience, as well as strategies for leveraging customer insights and post-program analyses for future programs. Strategic Program Management. At a time when content is king, this session was dedicated to providing case studies of proven communications strategies, specifically those that were able to help a brand rise above the noise both in a social media context and through more targeted marketing communications. Engagement-To-Value Strategies. In this session, presenters illustrated the Big Data opportunities that programs can offer through online data collection techniques. For example, using A/B testing methodology, clients are able to “growth hack” their members’ engagement, allowing them to identify and measure value at different points of impact in the program’s life cycle. Return on Experience. An HMI mantra, this discussion centered around the value of group travel experiences, and explained why the allure of a memorable group trip reward can increase year-over-year engagement and help cement lasting ties to your company. Finally, HMI’s executive leadership also took time during the Forum to present some of the company’s exciting new incentive solutions, including our revolutionary Snap2Claim technology that’s designed to transform the claims process on both the front and back ends (more on this in next month’s blog). Of course, the HMI Incentive Leadership Forum is about more than just business—it’s about building relationships, discovering new ideas, and having a good time in the process. That’s why we like to include at least one team-building excursion in every Forum trip. Last year, the fun centered around a zip-lining adventure through the canopies of the Mexican rainforest; this year, attendees were treated to a snorkeling cruise on a luxury catamaran with cocktails, a full Mexican buffet, and unbeatable views of the Sea of Cortez. We look forward to hosting our next annual Forum and inviting even more clients to discuss best practices in another exciting travel destination! Interested to find out more about what an incentive program could do for you? Reach out to us at 888.220.4780 or marketing@hmiaward.com to find out.